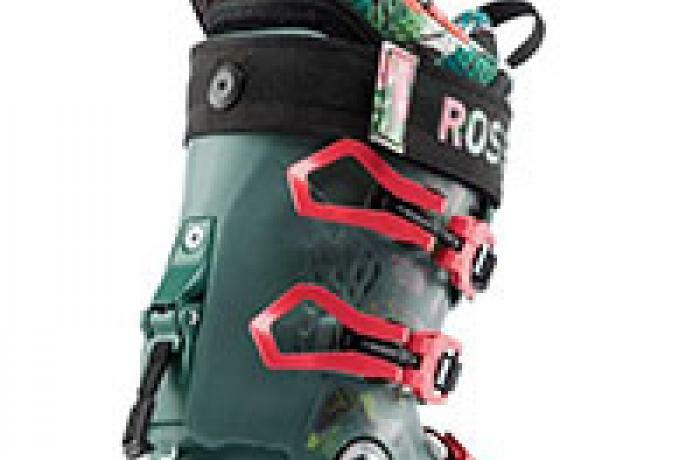 The 2018/2019 Rossignol Alltrack Elite 100 LT W was tested in the women's On-Off Area narrow category at Silver Mountain Resort by the experts at America's Best Bootfitters, powered by Masterfit. 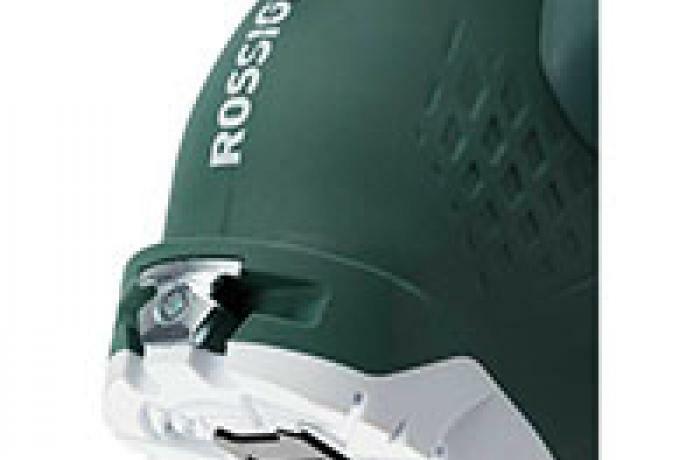 While a Dual Core Grilamid shell and cuff is an exciting development in the Rossignol line, our test team was most impressed with how the Alltrack Elite 100 LT W looked! Far and away the top pick for best new cosmetics, it luckily also proved itself in fit and performance both downhill and up. It also got unanimous votes for ease of entry and exit and clean, convenient closure. Testers praised the evenly cushioned and cozy interior of the Alltrack Elite 100 LT W but also criticized this narrow for hedging too far into medium fit territory. That said, they did like the extra room in the toebox (width, height and length) for warm toes and trouble free touring, and said that the fit tension tapered back well enough into the ankle, heel and up through the lower leg shaft for adequate control. The loved the straightforward and easy on, off and buckle-up and they liked the fact that the even fit did not change when in hike mode. For a 100 flexing, featherweight with an ultra-comfy liner, testers were impressed with how well the Alltrack Elite skied, though testers said it's a quick-witted, fleet-of-foot boot, not a hammer looking for a nail—our bigger, taller testers said they could over-flex it. But testers also said that the boot's energy more than made up for its lack of grunt-level power—the word effervescence actually came up more than once. The test team liked the simplicity of the hike mode switch and commended the big improvements made in touring range of motion and weight over previous Alltrack models, but a few testers mentioned that its hike mode range and quality of movement still lags behind others in the category. 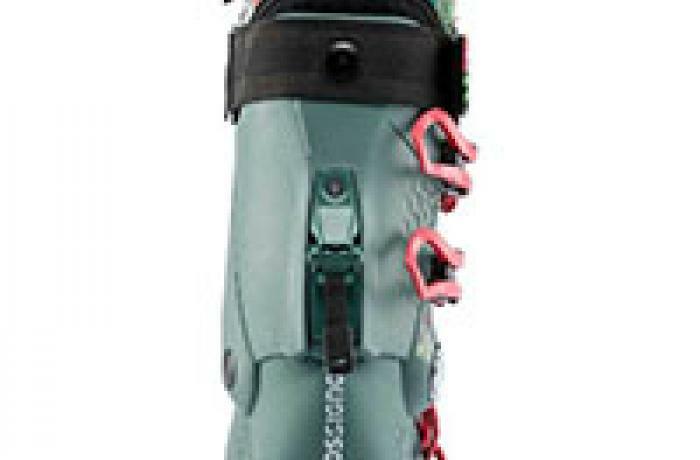 This is the first use of both Dual Core plastic injection and Grilamid for Rossignol, along with a first for low-tech fittings (Dynafit certified) and another first for GripWalk soles (sold separately)—and they did all of that without losing the simplicity of four buckles, a power strap and a functional cuff adjustment. 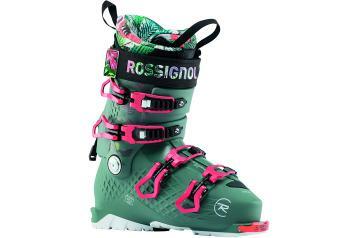 We say, well done Rossignol. Dual Core Grilamid/Dual Core Grilamid/n.a.